The task seems simple enough: Create a summer literacy program for elementary students in East Fort Worth. The reality was much more daunting. Dr. Elsa Anderson and Dr. Lisa Dryden, two distinguished members of the Texas Wesleyan University education department, were presented that challenge by Fort Worth SPARC executive director Tobi Jackson. Anderson and Dryden dove right in rolled up their sleeves and developed the ELITE Institute on the Texas Wesleyan campus. The creation of the ELITE (Excellent Literacy Instruction to Empower) Institute, a landmark partnership between Texas Wesleyan, Fort Worth ISD and Fort Worth SPARC, is changing lives one page at a time. Students at ELITE Institute participate in daily literacy instruction. Fort Worth SPARC (Strengthen after-school Programs through Advocacy, Resources and Collaboration) is a collaboration between the City of Fort Worth, all 14 local independent school districts, after-school providers and community leaders. These groups work with SPARC to advocate for exceptional after-school programs across Greater Fort Worth and to serve as a resource for parents and providers. Anderson and Dryden created the ELITE Institute curriculum, a research-based model of writing and reading strategies. They trained Fort Worth ISD teachers and other teaching volunteers in delivering the ELITE curriculum to a culturally and linguistically diverse student population. The ELITE Institute featured two summer sessions in June and July, which were attended by about 85 K-5 students and 50 teachers. Each session covered three weeks with two-hour days. 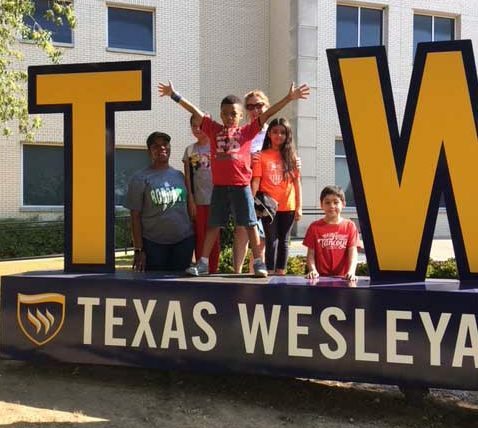 All the children taught lived within a three-mile radius of Texas Wesleyan. The enthusiasm of the students and teachers was clear to see in each classroom within Dan Waggoner Hall. Each day brought a new book and a new activity based on that book. On one particular July morning, a group of students had read Book! Book! Book!, noteworthy for its surprise ending. The students were then encouraged to rewrite Book! Book! Book! with their own ending. Khaiden Willis, 6, enjoyed reading Little Red Hen the most. Engaging and motivating students during the summer can prove difficult. Anderson recounted the story of one student that they couldn’t get to at first. 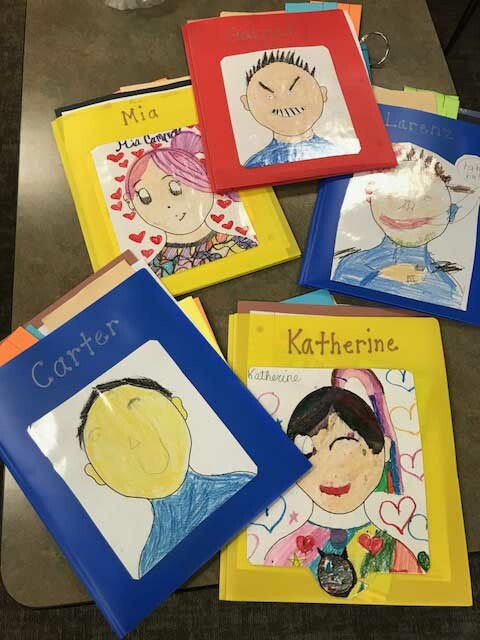 Students keep their work neat and organized in individual folders. One of the byproducts of the program running for two hours per day was the buy-in from parents. A concern when developing the program was whether to charge a registration fee, similar to other summer-reading programs on college campuses. The thought being that a financial investment would be a greater motivator for child attendance than it being free of charge. What SPARC found is that parents did feel they had “skins in the game,” as Jackson put it, because of their commitment to drop off and pick up their kids in a relatively short window. The July session, for example, started each weekday morning at 9 a.m. and was done by 11 a.m. The costs for the student attendance were completely covered by SPARC, in addition to local sponsorship support from Waldorf Publishing, which donated books to every child, and Pepperidge Farm, which donated snacks every day. The teachers and other personnel involved all donated their time. The ELITE Institute is equally beneficial for teachers, with the goal of improving their reading and writing processes, learning and applying new strategies for teaching reading and writing, and becoming immersed in exciting children’s literature and mentor texts for writing. Still, at the end of the day, the smile on the child’s face goes beyond any program goals committed to paper. 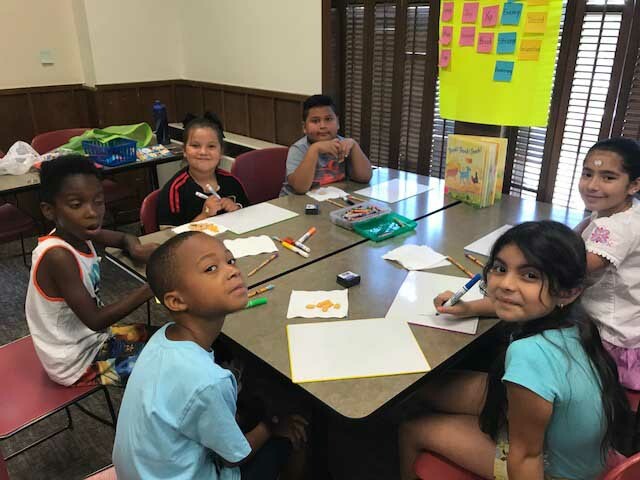 The ELITE (Excellent Literacy Instruction to Empower) Institute is a summer program designed for K-5 teachers and students in Fort Worth ISD. The institute will enrich teachers’ current knowledge of best practice of reading and writing in a vibrant learning environment. Teachers will thrive through hands-on application, collaboration with each other, and self-reflection regarding their philosophy of teaching and learning. Students will work with individual teachers and engage in the literacy strategies learned through ELITE and decrease students’ literacy summer slide.